To sign up to the You Garden Newsletter, simply click the Request Newsletter button below and you will receive amazing special offers, discounts and access to secret sales. Making Gardening Accessible to Everyone! 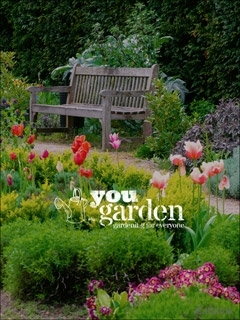 You Garden offer a range of great gardening supplies, advice and products. Sign up to their newsletter today to explore all they have to offer! Explore everything you could need to make your garden (or balcony) a flower, fruit and vegetable haven. From beautiful flowers, climbing plants and ornamental shrubs to delicious fruit, organic vegetables and so much more. The experts at You Garden believe that everyone can be a gardener - whether you have a garden, patio, small balcony or indoor garden. They make gardening super simple so that you can get on with planting and growing the most beautiful gardens with ease. If you're looking to stock up on those gardening essentials, look no further. Explore compost, fertilisers, lawn care, pots, hanging baskets and so much more today! Sign up to theYou Garden newsletter today and get 10% off your first order. Plus, be the first to receive member only updates, offers and advice on everything gardening! By Pressing the Request Newsletter button you give You Garden (and their Data Processors for the specific purpose of delivering your emails) consent to send you their newsletter via email until such time as you choose to unsubscribe.